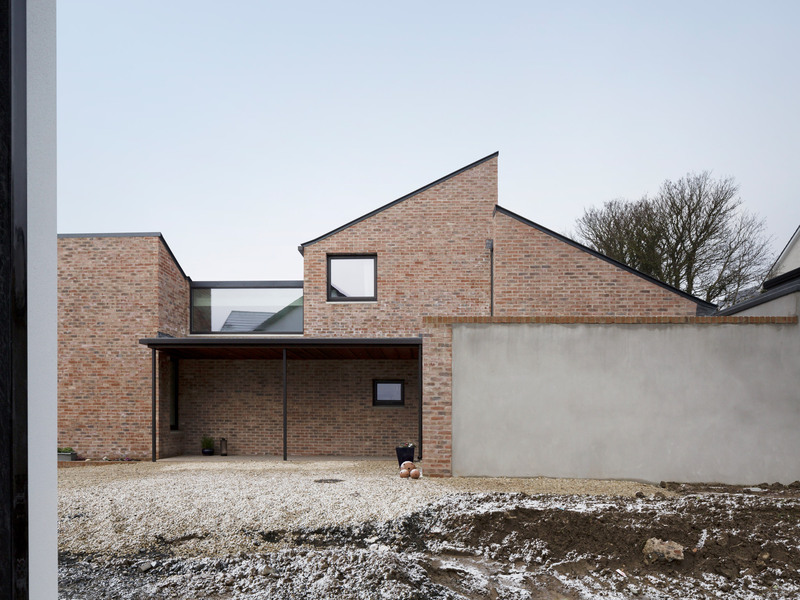 Scullion Architects designed the house as a series of volumetric forms that refer to the surrounding local farm buildings, which are characteristically added to over time forming a “conglomerate larger whole”. 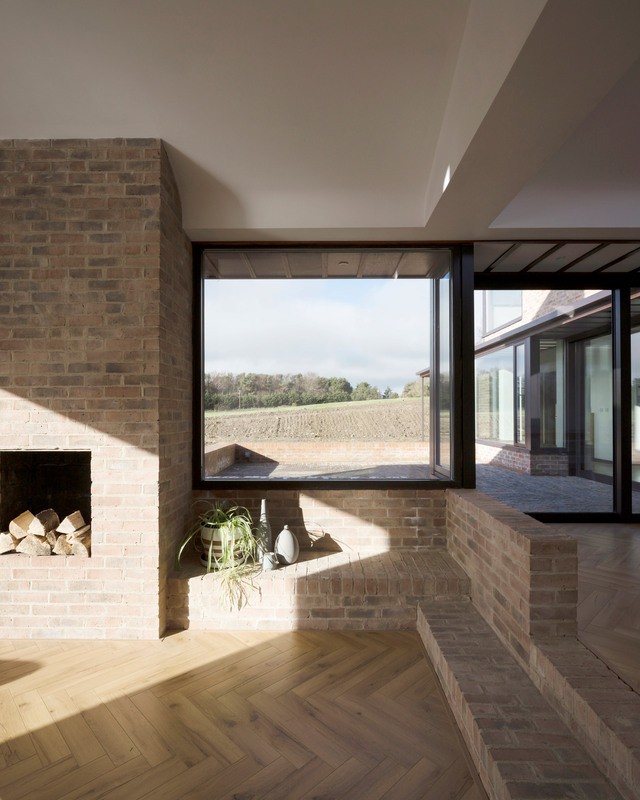 “When they purchased the site, we walked the field with them to identify where the natural position for the house would be,” said Declan Scullion, founder and director of the Dublin-based studio. 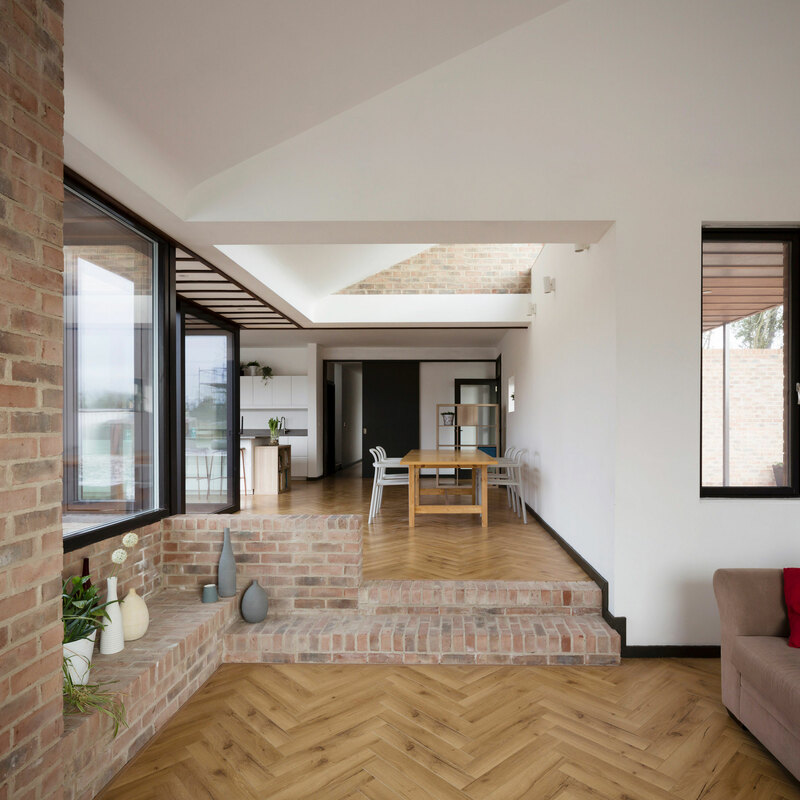 Arranged around this patio, the house’s L-shaped layout is designed to fit within the meadow’s sloped side. 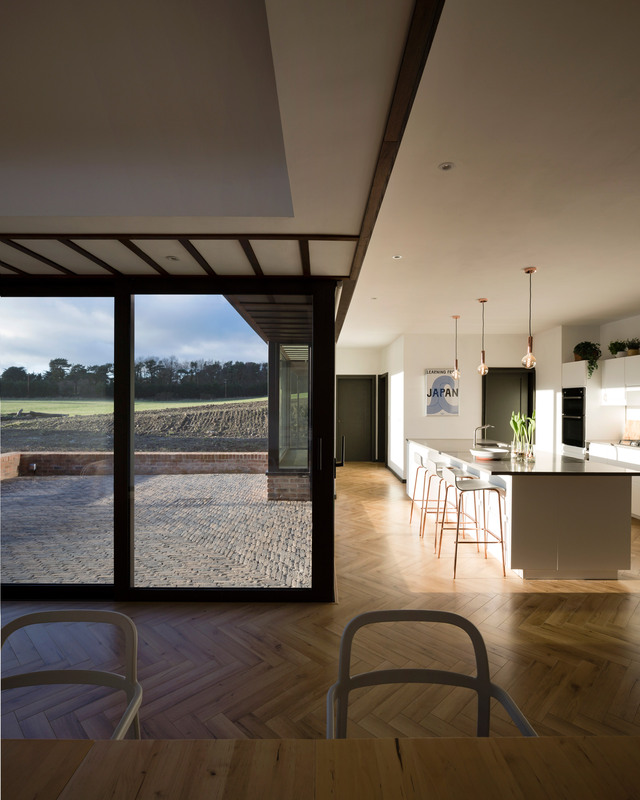 The house’s varying levels allow the owners to look out on the surrounding area, with sliding glazed doors in the living room giving uninterrupted views towards the meadows. 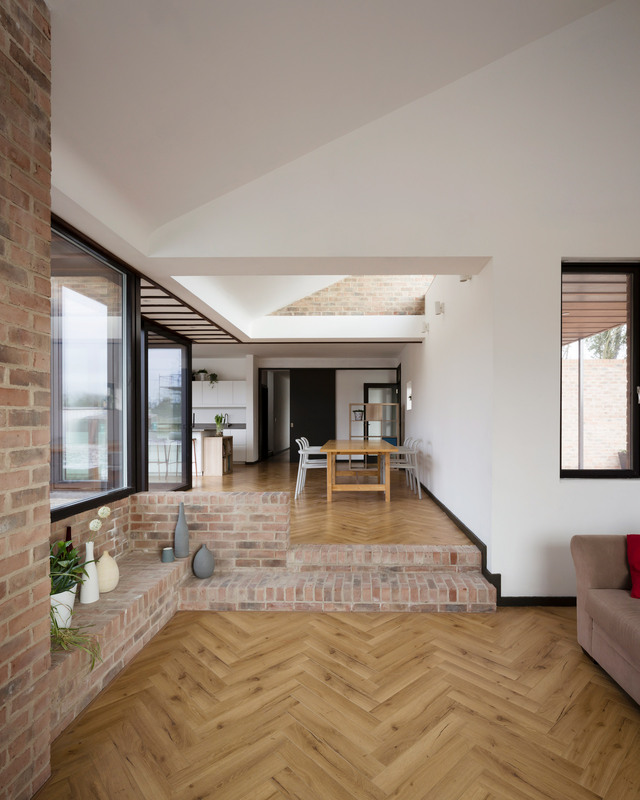 The house’s insulated fabric, flush brick mortar joints and triple glazing ensure low energy consumption all year round. 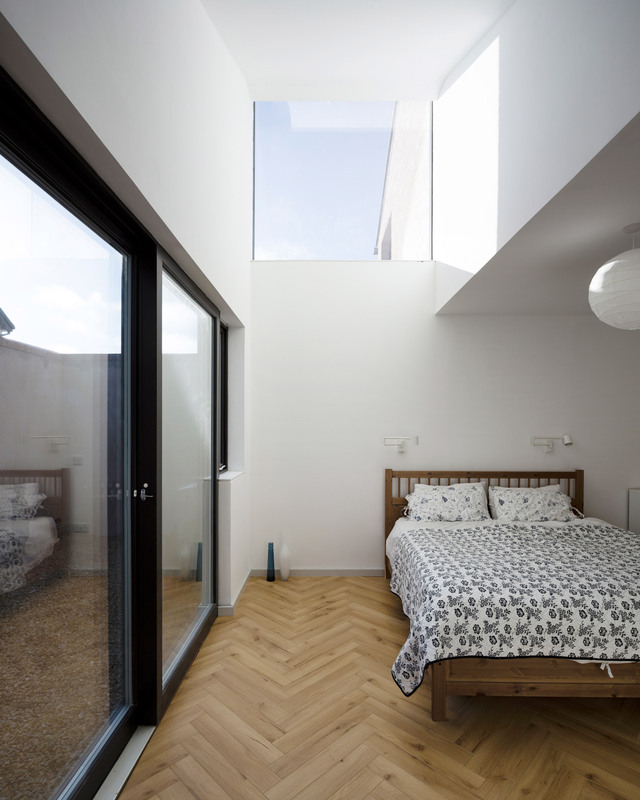 Scullion Architects previously renovated a Georgian property to create a light-filled “upside-down house” near Dublin’s dockyards.